Post a photo of you holding something that weighs about 40 lbs. 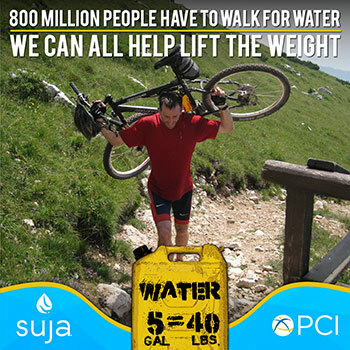 and Suja will donate $25 to help fund a water project. 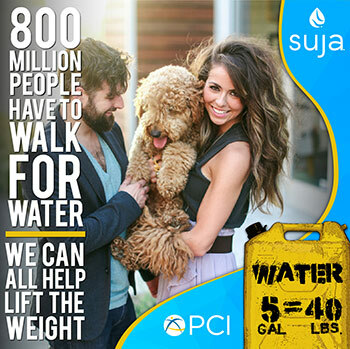 We will award a FREE case of Suja to each of the 3 users who FOTE with the most creative and/or random 40 lb. item. Can’t think of something that weighs 40 lbs.? 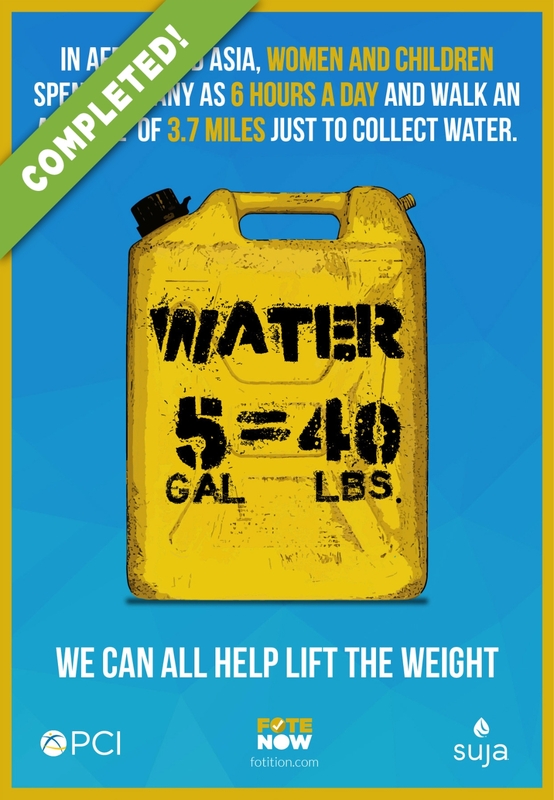 No worries, we took out a scale and started weighing stuff and here are some things that we came up with: a microwave, a 3-year-old child, a 15-foot canoe, a 12-foot step ladder, a 5-gallon bucket or bottle of water, a medium-size dog, two 20 lb. dumbbells (kind of obvious), a 40 lb. dumbbell (even more obvious), a full-size spare tire, two BBQ propane tanks, a case of Suja, a mountain bike, a scuba tank, or let’s see what you can come up with! This money will be donated by the generous people at Suja, on your behalf. 100% of this donation will help PCI (Project Concern International) create life-changing programs to ensure families and communities are healthy, with access to clean and safe water, nutritious food, and economic opportunity. You can feel proud knowing that your FOTE will help lift the weight of poverty. When you FOTE, you will be joining a movement of amazing people who are making an effort to put an end to the world water crisis and create a healthier world for all.